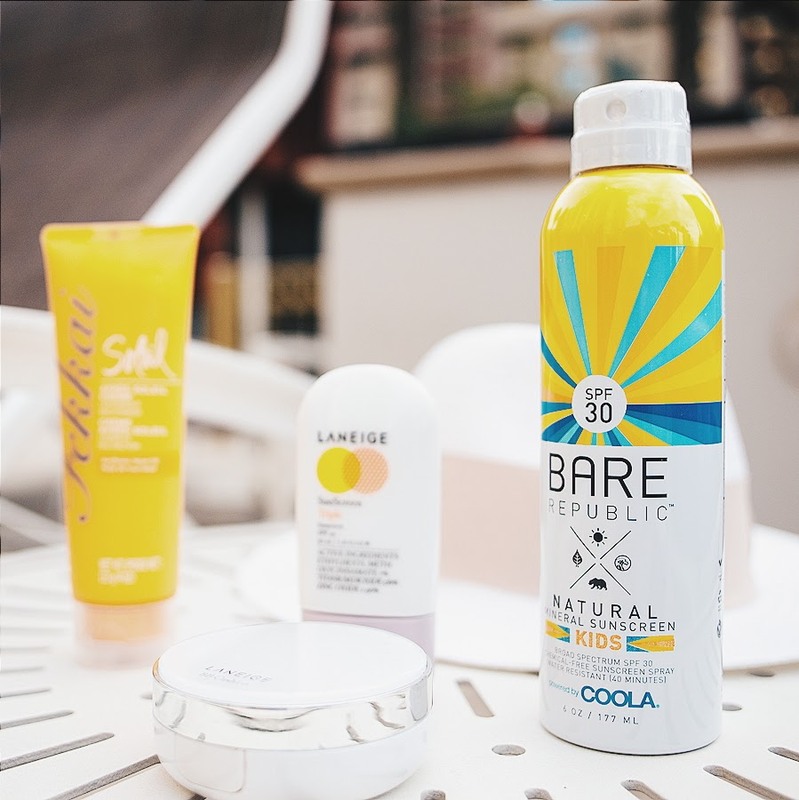 With temperatures rising into 115 degrees, this past weekend, I tried to beat the Vegas heat with deep mediation and a slew of Target sun care products from Laneige, Bare Republic, and Frederic Fekkai. I spent the past weekend in the sweltering heat of a true desert. Las Vegas. With temperatures soaring to 113 degrees, it was like being in a dry sauna all weekend smothered in the piercing glare of the sun and endless neon temptations (buffets). We did everything we could to avoid the outdoors, spending most of daylight soaking up summer sales at The Forum, enjoying the hotel spa, and sleeping in after nights dancing at Hakkasan and Omnia, futile attempts to burn off Bacchanal buffet calories. But on Saturday afternoon, the hotel's expansive pools reminiscent of the rain forest glistened and beckoned. There was no question, we had to go for a dip. But first, I had to put on my armor, a few things I picked up in the Target beauty aisles. You can't mess around with Vegas heat as you could probably fry an egg in it! So, I needed to protect my hair and skin and make sure they didn't fry. I spritzed and covered every visible crevice of my body in Bare Republic SPF 30 Mineral Sunscreen Spray. Its chemical-free formula is specially designed for sensitive skin and won't clog pores. It's water resistant and contains no synthetic fragrance and is perfect for layering throughout the day without worrying about heavy oils and chemicals seeping into the skin. There's no reason to wear makeup in the heat just to have it melt like wax in an oven thirty seconds later, so I skipped my makeup routine and opted to layer my Laneige Triple Sunscreen sunblock SPF 40 with Laneige BB cushion SPF 50 for maximum coverage that conceals and protects. As for hair, I prepped it with Fekkai Apres Soleil Hair Creme, a lightweight leave-in masque that moisturizes, conditions, and brings back shine to dry hair. It's really the only product you need to use before and after a dip in the desert pool. And with my armor on, I jumped on my donut float and made my way down the Amazon feeling protected from head to toe.